Our experienced team has already done all the research and legwork for your payment gateway search. We understand the business models relevant for each different kind of payment gateways. Our experience and our rates are unmatched. Get your business running with an online payment today using the advice from the experts at eMerchantBroker.com. 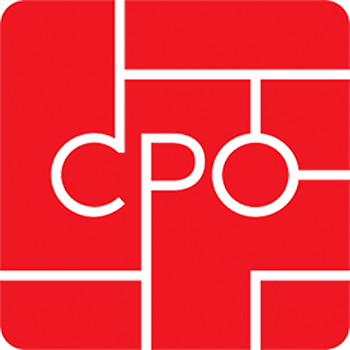 Each customer that moves to the check-out area of a merchant’s site must experience a seamless, error-free experience. If a problem occurs during a check-out, a merchant can likely kiss that transaction goodbye. Too many experiences like this add up to a lot of lost sales. A high-risk payment gateway, like the ones offered by eMerchantBroker.com (EMB), helps ensure check-out processes are flawless. To accept credit card and electronic check payments from websites, businesses must have merchant accounts and payment gateways. Funds are held in merchant accounts before they are transferred to businesses’ bank accounts. A payment gateways is the service tool that approves or declines any transaction to comes into a business via an online transaction. A high-risk payment gateway allows customers to submit their credit card information, and then, safely passes the sensitive financial information from the customer and the business, as well as the business and the bank. Without merchant accounts and high-risk payment gateways, merchants cannot accept Visa, MasterCard, American Express, or other bank cards as payment. EMB’s high-risk payment gateway offers the security and infrastructure necessary for the quick, safe transaction of transaction data from merchant websites and credit card networks. The gateways aim to save small and mid-sized businesses time and money. Businesses that already have merchant accounts can apply to EMB for a high-risk payment gateway. Those that wish to apply for a merchant account and a high-risk payment gateway can begin the process today by filling out EMB’s quick and easy online application. There are no guarantees, but EMB promises an open and honest application process. Merchants can be approved in as little as 24 hours. Fraud protection tools and all day, every day customer support also is provided. Most importantly, the payment gateways are PCI compliant. Every day, customers swipe or punch in the numbers of a credit cards for everything, filling up their cars with gas to buying a new smartphone. Whenever they pay for something, they are leaving their data – personal and credit card information – vulnerable to cyber spammers and hackers. To protect customers and their information from ending up anywhere other than where they were intended, all merchants must comply with the PCI (Payment Card Industry) Data Security Standard (DDS) rules. PCI DSS was started by international credit card brands, JCB, Visa, MasterCard, American Express, and Discover, to enhance card member data and transaction data security. PCI DSS requires merchants to follow 12 steps to stay in compliance. Merchants face major fines if they fail to protect customers’ information. Fines range between $5,000 and $100,000. With stakes so high, merchants have no choice but stay in compliance. There is a long journey from the time a customer inputs his or her credit card information into an online checkout to the time it is completed. First, after a customer provides credit card account information for payment of an online purchase, the information is SSL-encrypted and sent to the merchant’s web server. From there, the payment gateway collects the data, SSL-encrypts it again and then, transmits the information to the acquirer’s server. The acquirer transmits the data to the credit card company being used, and then card issuer is alerted of the data/transaction. The card issuer lets the acquirer know whether the authorization is approved or declined. The acquirer send’s the issuer’s answer to the payment gateway, which transmits the authorization response to the e-commerce website. At that time, the authorization is displayed to the cardholder. If it was approved, the transaction is completed. If not, most e-commerce sites ask for another form of payment. 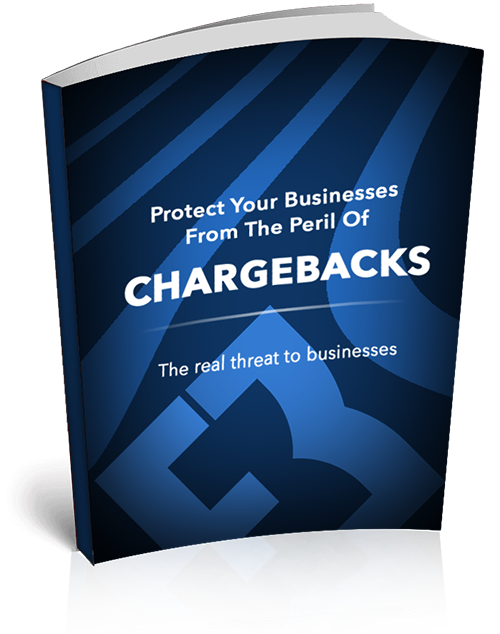 Chargebacks can wreak havoc on your cash flow and profitability, including your businesses reputation with banks and lenders. 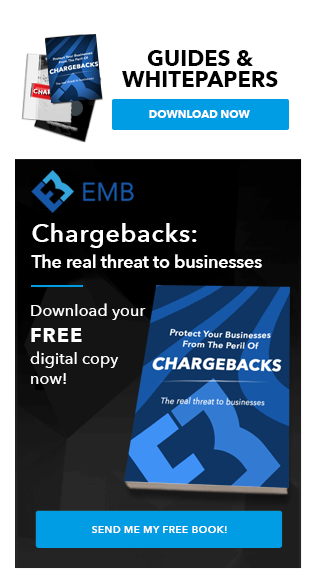 However with this ebook as your guide for preventing chargebacks and, when they happen, fighting them more effectively, you can be prepared and protect your business - Click here and receive your FREE copy of Chargebacks: The Real Threat to Businesses, today! A business that works with little or no face-to-face transactions and relies heavily on credit and debit card payments must have a reliable high-risk payment gateway. EMB not only helps high-risk merchants in many industries, it allows merchants to choose their processors. Not every payment gateway works for every merchant, so EMB offers options. Nutraceutical or debt consolidation businesses, which often charge customers on a revolving basis, will want payment gateways that handle recurring billing. However, an adult dating site may better suited with a gateway that accepts mobile payments. When choosing a payment gateway, merchants must look at processing fees, the countries that the gateway accepts, and whether they are able to accept and process mobile payments. Merchants that do not which gateway option to choose should contact the experts at EMB. EMB offers a host of merchant account services, including high-risk payment gateways. Using the wrong payment gateway can cost merchants revenues and customers. When working with EMB, merchants can enjoy many benefits of having a high-risk payment gateway. Not only is it the smartest transaction routing system on the market, it accepts multiple types of currency. By accepting may types of currency, merchants save time. Merchants no longer need to waste their time and effort translating currency values. For easy access and usage, high-risk payment gateways also have a modern web portal interface and reports. Also, merchants have application-programming interface (API) access to the gateway and report data. Having access to an API ensures calls with authenticated logins gain access to the interface, giving merchants more control over who has access to certain resources. Businesses also can personalize reports to meet their specific needs, including customizing transaction data. Additionally, merchants can export information to get a more thorough analysis. Finally, merchants can detect prepaid and gift cards with gateways. Though it seems simple enough to apply to a bank for a payment gateway, it is challenging. A business can have a good processing record and still get turned down due to the type of business they conduct. Banks consider many businesses high risk because they have irregular high-ticket sales, excessive chargebacks, or work in industries that are highly regulated or the rules and regulations are murky, at best. Businesses owned by people with poor or low credit scores and those that are based outside the United States also fall into the high-risk category. So, when a merchant with any of these problems try to obtain a high-risk payment gateway, banks turn them down for services. Merchants that want to safely and responsibly process credit card payments must turn to a high-risk payment gateway processor, like EMB. EMB offers high-risk online payment gateway services for retail, mail order/telephone order (MOTO), and internet merchants. EMB prides itself on working with clients with all types of backgrounds. Whether a business is small and unknown or large and established, EMB finds the solutions it needs. To begin taking payments via a high-risk payment gateway, fill out EMB’s quick and simple online application. Though nothing is guaranteed, EMB promises a fair process. Merchants with questions about high-risk payment gateways or the process should contact EMB for more information. Once applications are submitted, they will be sent to underwriters for review. During reviews, underwriters want to ensure companies are built on stable business models and in compliance with all rules and regulations. It is important that merchants follow the steps outlined by PCI. Underwriters look at merchants’ credit scores, credit card processing history, bank statements, and websites during reviews. These are evaluated to ensure that merchants don’t have negative bank account balances, outstanding bills, and other red flags. Also, a merchant’s website is examined to ensure it has a secure (SSL), as well as clear, prominently-displayed terms and conditions. Having these clearly shown on sites prevent problems down the road for merchants and processors. Some savings and no outstanding bills or debts will put a merchant in a positive light to underwriters. Businesses that take these steps are more likely to get high-risk payment gateways without extra restrictions. Whether you’re an internet startup company or a business looking to expand to an online clientele, you will be in the business of finding a secure online payment gateway for your electronic transactions. Online payment gateways are the method of securing and accepting any credit or debit card payment method. A reputable and reliable payment gateway is vital to a business to avoid complications such as chargebacks, disputes, and fraud. The first is security and anti-fraud protection. Protecting your business and protecting your customers is a cornerstone of a successful business. Once incident can wreck your potential and reputation. The second need is for the payment gateway to be user-friendly. Not only does it need to seamlessly integrate into your website and merchant account but it needs to be customer-friendly so that your customers do not become frustrated and give up on buying your products. Lastly, you have to find the best rates. Business friendly rates regarding transaction volume and transaction fees can make or break your margins. Finding the right balance of security and financial acuity is critical for any payment gateway. Our team at eMerchantBroker has thoroughly searched through all available online payment gateways so that we have all of the insider knowledge to advise you which best suits the interests of your business. We’ve sifted through and centralized all the information to put it at your fingertips when you’re making the important decision of what online payment gateway to use. With years of experience, our experts can guide you to the most cost effective and convenient high-risk payment gateway for you and your business. – Authorize.net was the payment gateway of choice around the globe. Its success and popularity led to Visa recently acquiring the service. Easy shopping cart integration and paramount user-friendly features assure you that both your business and your customers will be satisfied. With Authorize.net you pay for what you get: quality. – A more cost-effective alternative to Authorize.net, eProcessingNetwork has useful features including an Authorize.net emulator. An e-mail invoice system helps data crunching and transaction processing run smoothly ensuring your employees time and efforts are spent in the most efficient way possible. – With its popular load balancing feature for its clients, NMI has surged to become one of the gateways of choice for eMerchantBroker. The ability to process transactions for multiple merchant accounts through one gateway is of immense value to certain business models; especially the high volume and high risk industries.